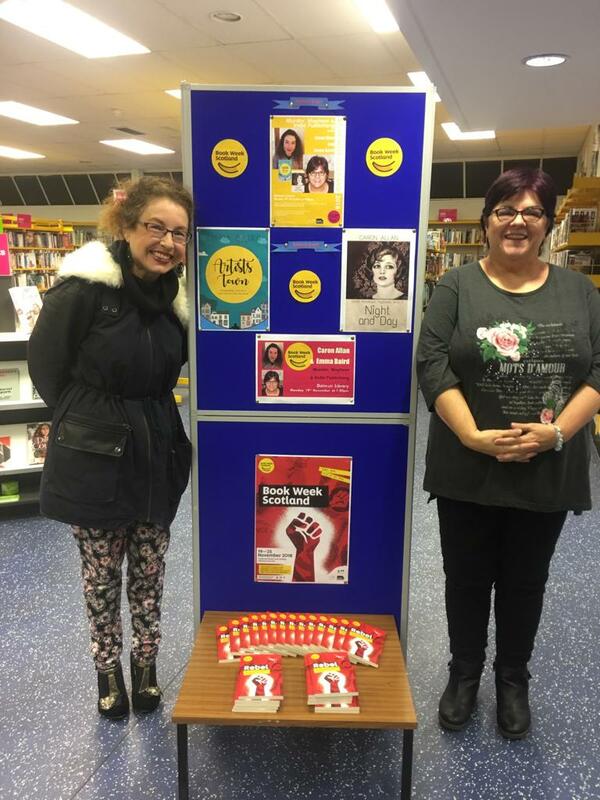 Caron Allan and I took a giant step outside our comfort zones this week when we did an event at Dalmuir Library—Murder, Mayhem and Indie Publishing*. The same goes for questions. Our small but select audience seemed genuinely interested in what it’s like to write a book and what we do during that process. I’d anticipated having to plant questions but it wasn’t needed in the end and the event organiser had to step in to bring the questioning to an end so folks could get on with the serious business of teas and cakes. Thanks to West Dunbartonshire Council Libraries and Cultural Services, everyone who attended (we had guests who came all the way from Edinburgh) and Sandy for doing his fair share of ferrying us to and fro. Next year Derby where Caron lives! 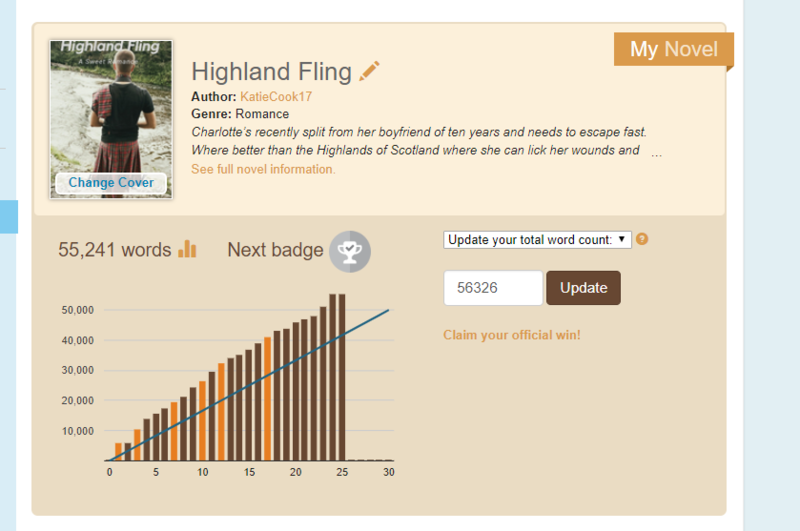 On another writing note, I completed #NaNoWriMo on Friday, notching up my 50,000 words. Forcing myself to write every day proved interesting. Some days were dead easy; others the words had to be dragged out of me. It meant taking my laptop on train journeys and banging out the words while I ate lunch or dinner at times. The book isn’t finished. I’m struggling with the end and the further on I got, the more I realised I hadn’t got the structure quite right so it will need a major overhaul once I’ve finished. Still, it’s done and pre the official deadline on the 30th too. Did you step out of your comfort zone this week? And if so, what did it involve and did you get a rush of adrenaline once you’d finished? *If Caron’s the one writing murder stories, does that make me ‘mayhem’?! I sure did step out of my comfort zone this week, making a three-hour return car trip to see the above event. But it was worth it. Excellent night! Well done, Emma on the public speaking and getting out there. Editing a book is somewhat easier than getting the first draft done, so well done on getting it done so consistently. Not a thing at all outside my comfort zone this week. I’m in hibernation mode!